To deal with that problem of cigarettes and smoke stuff, and all kinds of perfume to create a balance. I will give it a go for the body splash that seems more breeze thing than the eau the toilette or eau de parfum itself. Those of late are more marking for a night out or an occasion and the body splash goes much better for daily needs, after shower, home moments. And they do work perfectly for it, more soft more comfy. However, the body splash are not very easy to find and sure the VICTORIA SECRET ones are the classic for it. 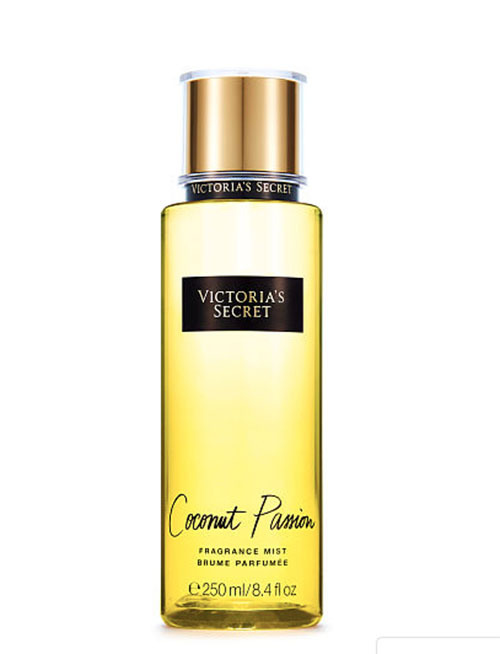 The ones I find in store are pretty much of a copy possibly of VS but not always they offer that good smell you want, I have found few favorites and it is crazy how much I be after them most loved item and I’m on eye to get Victoria Secret again for a long time, I’ve discovered they can be found on the SP international airport but not sure if inside on the Duty Free shop .. planning a trip abroad, certainly it is on my wish list. Changing the subject a bit… The trip, gift packs are getting faded away on VS. I had few ones and are on my needs once again but browsing the US online shop they are not for sale anymore, I also have heard people asking for that. I have always on me the trip/gift small packs and it is much easier to pack and go as on the travelling time is so much to carry on we get lost from time to time. So, I really recommend a well come back some choices on this department. And here I’m going to give some clues of fragrances that I really like and think suits as coconut, orange, lemon, jasmine, cinnamon, green tea. Or others that are light and open, bringing a sort of freshness. My fav VICTORIA SECRET picks of the season.